We spend a lot of time at home during the evenings. Many people love spending their evening in their home rather than sit outside in their own backyard. During the night is probably the best time relax in the backyard because of the nice cool air. It would be hard to relieve any stress if not surrounded by a calm atmosphere. To clear a lot of things on your mind, you want to relax somewhere like your backyard that can calm you down during the night. You can easily create your own stress reliever area in your patio or backyard with patio lighting. With these lights you can do a lot of redesigning to your backyard or patio. People are worrying too much about their appearance of what’s inside their home and forget to work on the outside of their house. With a beautiful looking backyard, you’ll at least stay outside for fresh air. The perimeter of your home will be first seen when someone visits your home before anything else. Focusing on the exterior of your home may bring the value of the house up. 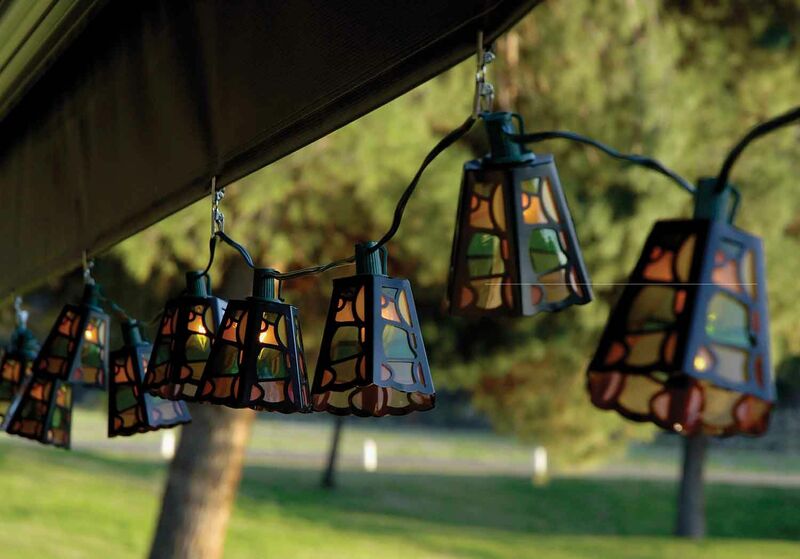 If you place your patio lights in the perfect area, you can easily bring a nice shine to your home during the night. If you have a great backyard display, you’ll always want to look at it and spend more time outside. The lights around your backyard shouldn’t be too dark or too bright. The place that you want to relax should have a perfect light that makes you feel comfortable. If you have a nice patio area at home, patio lighting will definitely bring a nice glow to it. If you don’t like the dark, it is good to have more lighting outside. People love to have more lights because it makes their house a lot safer. If you have a bunch of friends that are staying late in the backyard or patio, more lights will only make it safer for them to see around. With string lights, you don’t have to worry about not having a place to place your lights. You can hang these lights from one tree to the other. Having the perfect amount of lighting, people will enjoy their time better in the backyard or patio. With too many lights, you won’t be able to enjoy a nice view of the stars with a lot of distractions. You can learn a lot more on patio lights by looking at images online and see tons of possible display.